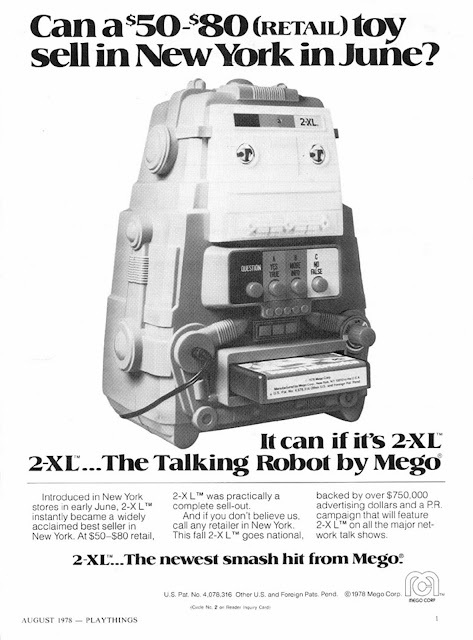 My second Flashbak this past week remembered Mego’s 2-XL, a toy from the 1970s that had a great run, and was even revived in the 1990s. Please continue reading at Flashbak! I LOVED this guy! He was a glorified 8-Track Tape player, but doggone it, he was MY glorified 8-Track Tape player! I can still hear his sped up, high pitched laugh to this day!